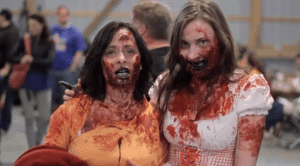 Season 3, Rue Morgue has successfully funded to the tune of 2,849,064 on Kickstarter. 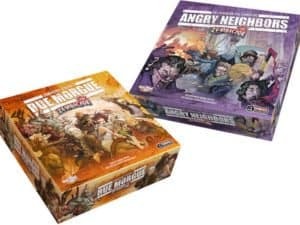 Topping Zombicide: Season 2, by nearly $600,000, Season 3 represents CoolMiniOrNot’s most successful campaign to-date. After its launch on July 29th, Zombicide: Season 3, reached its funding goal of $100,000 in just under seven minutes, and was featured on Kicktraq’s Hot List for every day of its 27 day run. Each backer pledged an average of $237 for copies of Zombicide: Season 3 and its accessories. Founded in 2001 as a website gallery for painting miniatures, CoolMiniOrNot has grown into a successful publisher and developer for a variety of games, including tabletop war games, board games, and card games. Notable recent successes include the Zombicide franchise, Wrath of Kings, Rivet Wars, Xenoshyft and Arcadia Quest. As noted, its Zombicide series has been a serial Kickstarter success. This entry was posted in General News, Uncategorized and tagged coolminiornot, gullotine games, kicktraq, zombicide. Bookmark the permalink.